I must confess I have been really interested in Matt's thoughts across his Admin2Consultant series which is in full flow at the moment. There are many points in this article which you can't help but agree with. From the outside looking in, the community that has developed is a wonder to behold. Whether it be Trailhead, blogging from the thought leaders or the widely available study guides to help with certs. This is what makes Salesforce great and is the biggest differentiator compared to Dynamics or the like! However, the partner ecosystem is a topic which will divide opinion. Matt cites that the ecosystem can be a disruptor and it's own worst enemy. I disagree. I only see it as an enabler of growth as it drives quality and a competitiveness to be the best you can be. As, let's be honest, you are very easily replaced by another partner. Let us not forget how small this market is and I know we have heard horror stories of partners who haven't delivered what they said they would or they have just done a terrible job. This surely breeds best practice as it grows? What do you think gang? Is the partner ecosystem an enabler or a disruptor? I feel it’s the creation of this community which Salesforce strives to attain to distinguish it from its competitors. 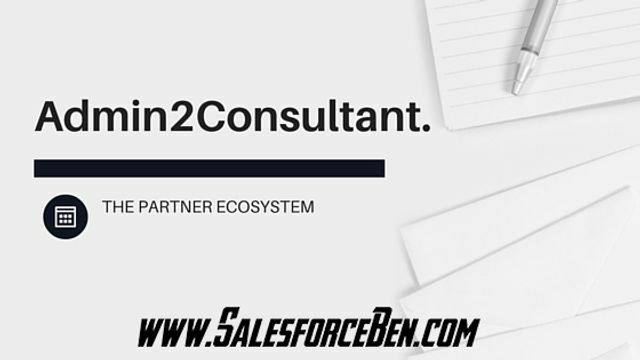 With a successful community, Salesforce can create an ecosystem of support for both its customers and partners to self-serve and self-support each other, it can create an environment where it soaks up far more information at a lower-level to drive innovation and it creates a ‘stickiness’ with both its partners and its customers who are brought into the Salesforce ecosystem.